TORONTO – The Canadian Olympic Committee (COC), along with its Athletes’ Commission, expressed gratitude to the Government of Canada for investing 18 per cent more in direct financial support to the country’s high performance athletes. In his 2017 budget, Finance Minister Bill Morneau announced the government would increase funding allocated to the Athlete Assistance Program (AAP) by $5 million dollars a year, the first increase in 13 years. Direct funding through to senior AAP carded athletes has remained at $18,000 a year since 2004 despite a 24 per cent increase in cost of living while AAP development carded athletes receive $10,800. The COC’s Athletes’ Commission along with other athlete and sport organizations, including the COC and the Canadian Paralympic Committee, has long advocated for increased assistance. Athletes are eligible for AAP funding if they meet carding requirements set by their national sport federations based on their results at Olympic and Paralympic Games, world championships and world cup events. The AAP is open to sports that are part of the upcoming Olympic and Paralympic Games programs. The COC also commends the Government of Canada for recognizing the critical role of sport in fostering healthy living and inclusion among Aboriginal youth. $18.9 million over five years have been earmarked to support community initiatives and the North American Indigenous Games, and ensure national sport development programs are more inclusive of Aboriginal athletes. “I thank the government for investing in our athletes and look forward to learning how this will be rolled out. We need to give them stable funding so they can plan their lives, education and training, and remain in sport to represent Canada internationally. Olympians are key ambassadors for their communities. Their accomplishments unite Canadians like little else can and inspire youth to reach higher in whatever they choose to do in life. We will continue to work with the government to find ways to better support athletes and the development of sport at all levels. OTTAWA – The Canadian Paralympic Committee and Canadian Paralympians are pleased with and grateful for the investment in sport announced in the 2017 federal budget this afternoon, in particular the 18 per cent increase to the Athlete Assistance Program of $25 million over five years, ongoing. The Athlete Assistance Program (AAP) seeks to relieve some of the financial pressures associated with preparing for and participating in international sport and assists high-performance Canadian athletes to combine their sport and academic or working careers while training intensively in pursuit of world-class performances. The funding amount for the Athlete Assistance Program had been unchanged for the past 12 years. With this new budget, high performance sport will see an increase in the monthly stipends that eligible national team athletes receive, currently set at between $900 and $1,500. 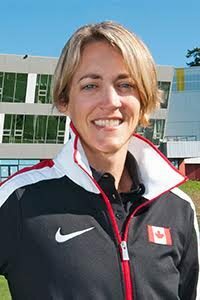 “On behalf of the Canadian Paralympic athlete community, we are very grateful for the support of the Government of Canada, especially through the Athlete Assistance Program and we are thrilled to hear today of the increased investment in the AAP,” said Chelsey Gotell, Chair of the Canadian Paralympic Committee Athletes’ Council and a three-time Paralympian in swimming and 12-time Paralympic medallist. The Athletes’ Council is an elected group of current and retired Paralympic athletes (within the past eight years) that serves as the collective voice, advocating the best interests of Canada’s Paralympic athletes and the Paralympic movement within Canada. In addition, the budget detailed $19 million for aboriginal sport and $1.34 billion over the next 10 years for provincial and territorial sport, recreation and culture infrastructure development. Canadian Paralympic Committee President Gaétan Tardif echoed the applause from the Paralympic community.